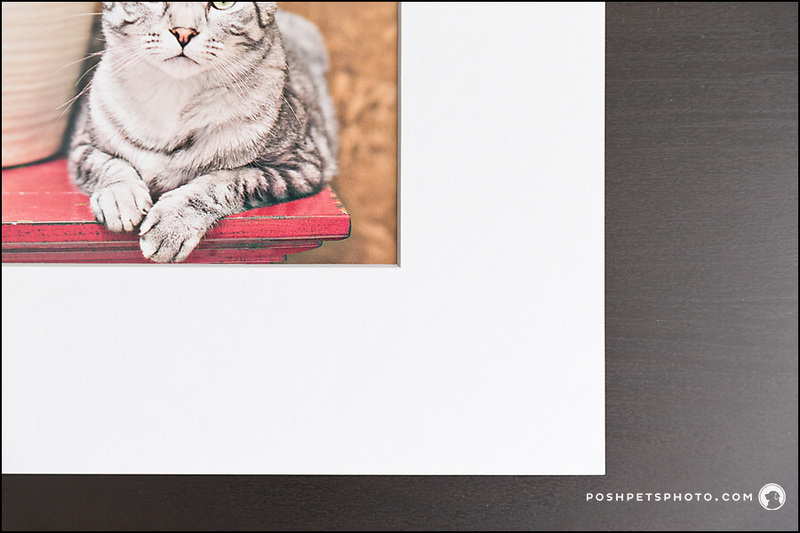 ART PRINTS ARE THE FOUNDATION PIECES OF YOUR POSH PETS® COLLECTION. All Posh Pets® Photography sessions begin with the quest for the perfect image. 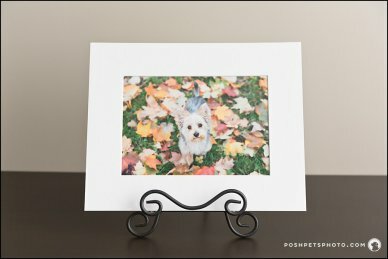 And all images in the Posh Pets world begin as matted art prints – in fact, they are a part of every one of our Collections. What exactly is a Gift Print? 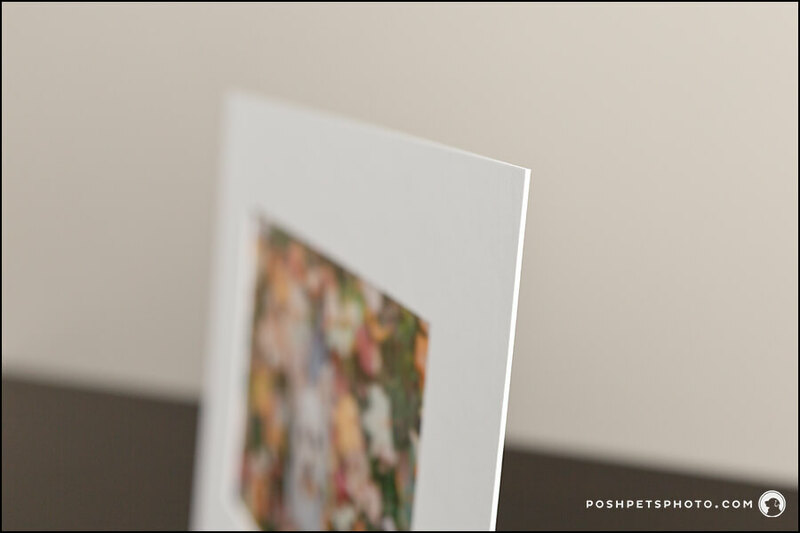 They are gorgeous 7×10 prints with a 2″ archival mat. The result is a beautiful 11×14 sized image, perfect for your Folio Box, displaying on an easel or for framing to create a collection for your wall. The prints are placed into thick slip-in mats. This allows you to remove the print from the matting, if you would prefer. But with their mat, they are stunning pieces of art. The bevelled cut-out detail sets off your beautiful print. 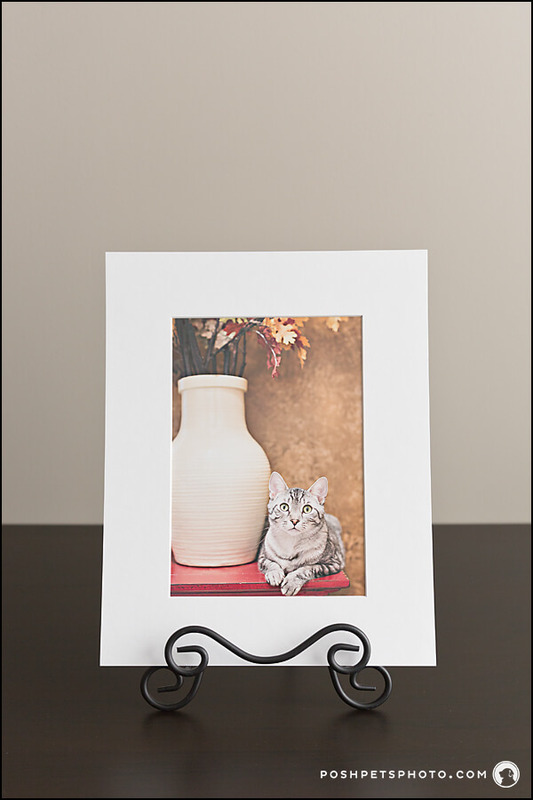 When placed in a frame, the mat protects your print from adhering to any glass placed in front of it. While 7x10 art prints can be displayed in an easel, any matted art print 10×15 and larger comes with a 2″ inch mat and includes custom framing. That way, your Wall Art pieces are completely ready to display.